RUBBERCRAFT DESIGNS, DEVELOPS, AND MANUFACTURES PRECISION ENGINEERED CUSTOM ELASTOMERIC PARTS, COMPONENTS AND SYSTEMS. 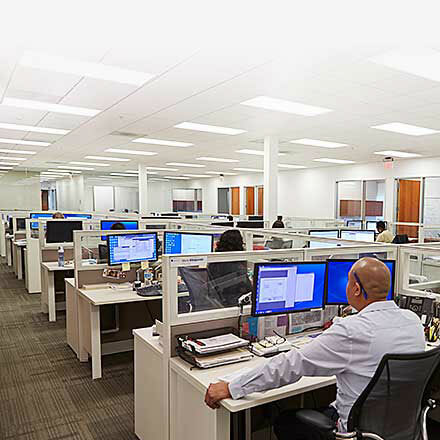 A high technology, high capability company committed to exceeding client expectations, our expertise encompasses the entire range of Commercial Aerospace and Defense, including applications for Land, Sea and Military Aerospace, plus Space and Launch Vehicle applications. 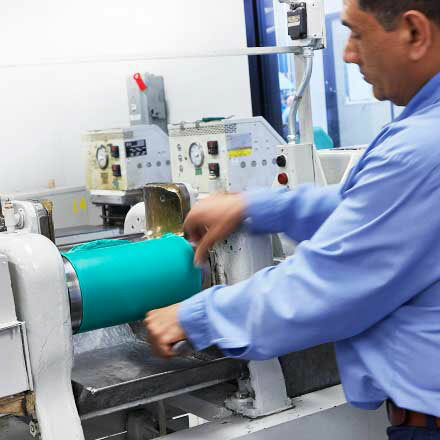 Our products include seals, gaskets and a line of flexible elastomeric tooling, all of which enable our customers to reach new levels of performance. Rubbercraft is a company with a long and interesting history. Its origins date as far back as 1911 to the Hendrie Tire Company of Torrence, California. History shows that the plant had been standing idle when it was purchased in 1926 by The Eno Rubber Corporation - 'Manufacturers of Automobile Rubber Sundries and Mechanical Rubber Goods'. A news article of the time reported that the plant employed approximately 40 men and had an annual production of $500,000; more unusual products included rubber substitutes for swords, armor and props for the motion picture industry. Board meeting minutes record the first mention of the name Rubbercraft on February 2nd 1931, when it was formally resolved to change the name to Rubbercraft Corporation of California Ltd. For many years a family-owned business, owned by the Merral family for more than 50 years, ownership passed to the Sanders family in 1981 - first father Marc and then son Eric took over the reins to drive the company forward as a pioneer in its field. Rubbercraft became the HQ of the newly formed Integrated Polymer Solutions group, following Eric Sanders sale of the business to Industrial Growth Partners (IGP) in May 2014. 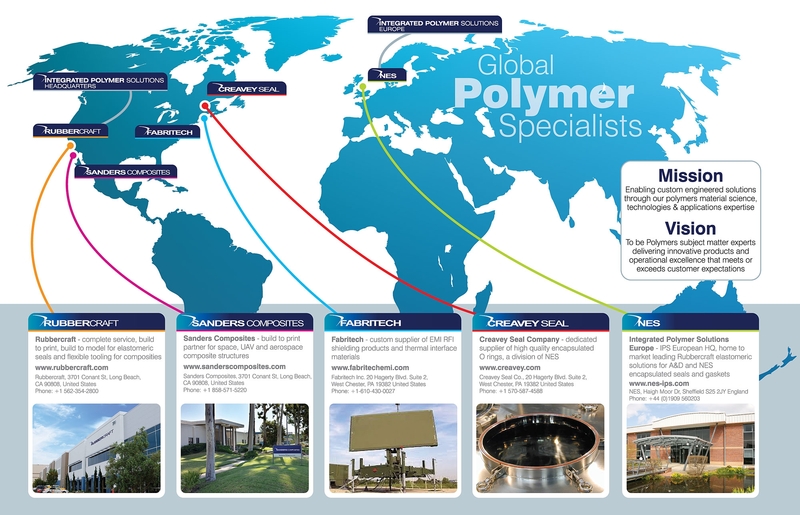 The group currently comprises 5 unique product brands and 4 distinct manufacturing locations. Rubbercraft’s pedigree and expertise in precision-molded and extruded elastomeric products, including bonding combinations of materials such as composite, metal, Polymer sheet such as Teflon®, and fabrics with elastomers, are second to none. 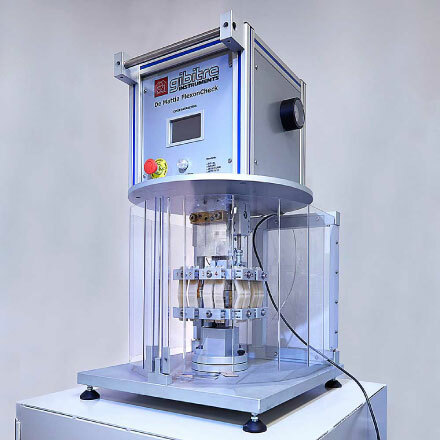 Our customers benefit from our expertise in utilizing these combinations of materials in order to tailor the specific performance of the end product in areas such as thermal expansion, stiffness, friction, toughness, and even EMI properties. As a business partner, Rubbercraft delivers added value through a complete package which encompasses every stage from the initial polymer science, compounding, engineering and development through to a final component solution. Whether build-to-print, or build-to-model, we can design, manufacture, assemble, test and install. It’s an efficient, seamless and effective approach designed for customer satisfaction. Innovative and progressive, Rubbercraft has a superbly equipped laboratory for the formulation and testing of elastomeric compounds. We mix, mold and extrude a wide variety of elastomers – including silicone, fluorosilicone, EPDM, Butyl, Viton®, Nitrile and Neoprene. An extensive inventory of extrusion dies and molds ensures both rapid turnaround and competitive costs for standard products. Rubbercraft are ISO/AS Approved for the Design of Composite Components. Rubbercraft satisfies the stringent demands of safety critical processes. Our ISO 9001/ AS9100 accreditations signify quality without compromise and we hold numerous other quality certifications and industry approvals. Notably, our certification encompasses approval for design, a key differentiator which enables Rubbercraft to deliver a complete service package - from design concept to completion. Most of all we are proud to have gained preferred status with many of our customers. Rubbercraft is on the Qualified Producers List (QPL) for Mil-DTL-83528 conductive materials. Our ability to combine EMI shielding and traditional sealing technology, integrated with customer components, provides electrical conductivity between mating surfaces while ensuring environmental protection as well as vibration isolation. Shielding performance is outstanding for EMI, RFI and high frequency emission. Rubbercraft's EMI shielding custom-formulated elastomers and systems have outstanding physical properties, including long life in critical applications, high chemical, fuel and solvent resistance and a wide usable temperature range. EMI requirements can be met by molding in place, extruding continuous lengths, die cutting from sheet and vulcanizing to metal, composite, and a wide range of other materials. Rubbercraft has a comprehensive and evolved range of manufacturing capabilities to fulfil any project cost effectively, on time and with 100% quality and performance. Download our brochure for a further insight into Rubbercraft’s philosophy, applications and expertise. Engineers often ask us for examples of our many profiles to assist with product design. The Rubbercraft Idea Book is packed full of hundreds of helpful examples to assist imaginative and progressive design engineering professionals.